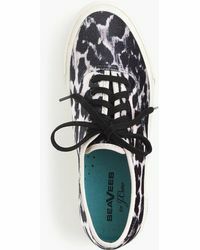 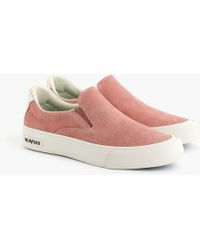 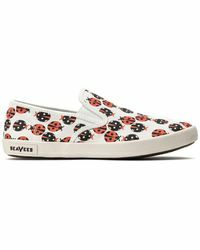 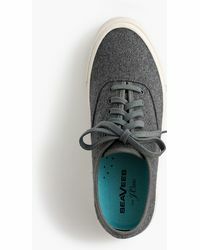 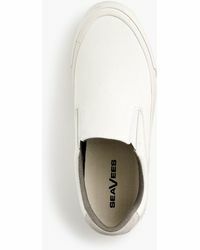 Relaunched in 2010 by Steve Tiller, Santa Barbara shoe brand SeaVees was inspired by the classic tennis shoe and 60s era California - surfing, The Beach Boys and Steven McQueen. 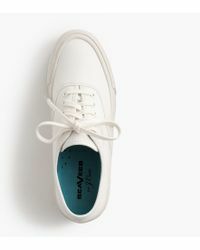 Each shoe is named after an important date in California culture, with the 5/65 tennis shoe reflecting the date in May 1965 when the UCLA men's tennis team, led by Arthus Ashe, won the NCAA National Championship. 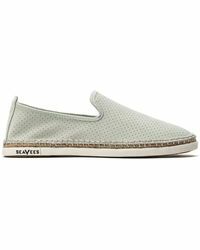 Expertly crafted using the finest materials and a natural rubber outsole for superior comfort, SeaVees celebrates the simple, utilitarian nature of the tennis shoe in its collections of beachside footwear, casual lace-ups and slip-on trainers.